recipebuster | I cook, therefore I Nom! I cook, therefore I Nom! It’s been forever – but I won another Chili Cookoff! I realize I haven’t posted since the last time I won my office chili cookoff, which has been a few years. Yikes! But, I won again! I pretty much used the recipe I did before but I had a few tweaks. I also thought I had a jar of jalapenos but I didn’t. So I tossed in a can of chipotle peppers w/adobo sauce which added a nice smokiness. I want to do this version and add a bit of carrot along with the onion and green pepper to up the veggies and add to the flavor – but I didn’t have carrots at home and didn’t want to run out just for carrots. So, this version is sans carrot. Not a super picture – but it’s what I was able to snap at work before my hungry coworkers descended. Drain the canned beans and rinse them well. Brown meat, onions and bell pepper. Add tomatoes, coffee, broth and tomato paste. Add spices, beans and canned peppers. Simmer for 2 hours (or longer on low in a crock pot – my preferred method). So, my workplace decided to have their first annual chili cook-off today. And I got 1st place! Yay! I used to help my family when I was a teen when my Dad’s chiropractic office entered a local chili cook-off (we were the Spine Tinglers). So I figured this would be fun. I couldn’t find any of our old chili recipes (they were always a work-in-progress anyways) so I based my recipe from “The Best Chili You Will Ever Taste” recipe from food.com. I did tweak it a bit because that’s fun to do. My version came out about a medium heat (nice and warming but without scorching out your mouth flesh). Add tomatoes, coffee, broth (and beer, if using) and tomato paste. Add spices, beans and peppers. Time for an original recipe. I based this off another recipe I developed for an oatmeal raisin cookie contest several years back. That recipe was a spiced rum raisin oatmeal cookie. This recipe is pretty much the same except I use dried cranberries and brandy…because that’s what I had on hand. 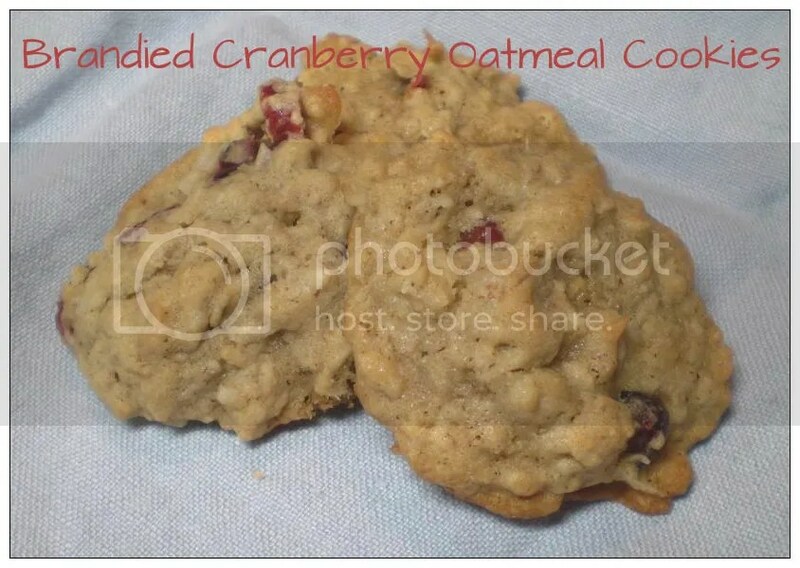 Plus the cranberries look a bit more festive and will hopefully avoid being mistaken for a chocolate chip cookie. I like oatmeal raisin, but there is something very wrong about thinking you are biting into a chocolate chip cookie only to discover what you thought was chocolaty-goodness is a raisin. Soak cranberries in brandy, preferably overnight. Beat together the butter and sugars. Add the vanilla and eggs one at a time. Gradually add the dry ingredients to the butter mixture. Drain the cranberries and add to the batter. Drop cookies onto sheet with a spoon. Bake 10 – 12 minutes. I love molasses cookies and this is actually the first time I’ve made them (instead of getting my Archway fix) and I certainly don’t think it will be my last because they weren’t difficult at all and I could probably eat my weight in these cookies. The original recipe comes from http://shortordermom.wordpress.com. In a separate bowl, beat butter and sugar until fluffy. Add the vanilla and molasses. Add the eggs one at a time. Form dough into walnut-sized balls and roll in turbinado sugar. I wanted to try something different, and I saw this recipe and thought it sounded interesting. 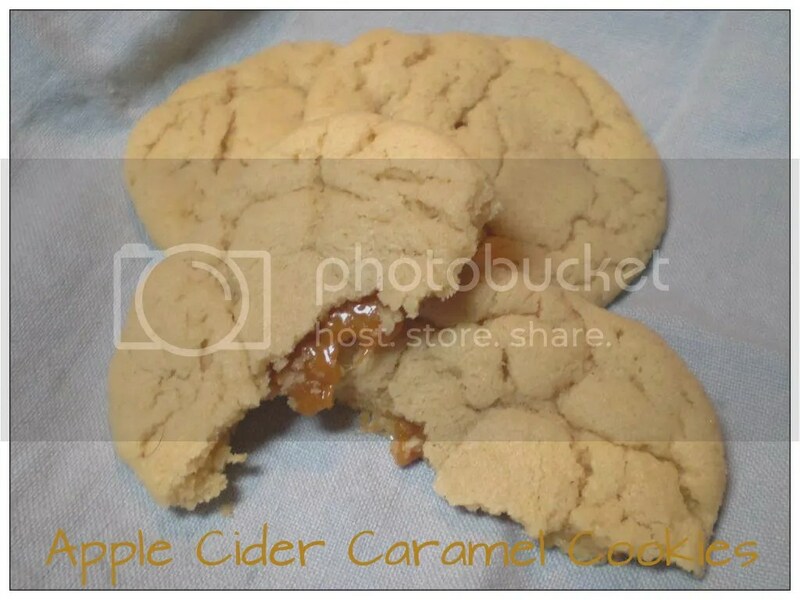 How can you go wrong with apples and caramel? On a side note, if you are unwrapping the caramels or cutting them into smaller pieces before hand, coat them in powdered sugar or cornstarch or something. Otherwise you will relive my experience yelling and cursing at a bowl of caramels that had glued themselves to each other and the bowl. It also resulted in some caramels flying across the room as little sweet projectiles as I tried to lever them out of the bowl with a butter knife. So, take my advice and either unwrap as you are forming the cookies or coat each piece to keep them from sticking. 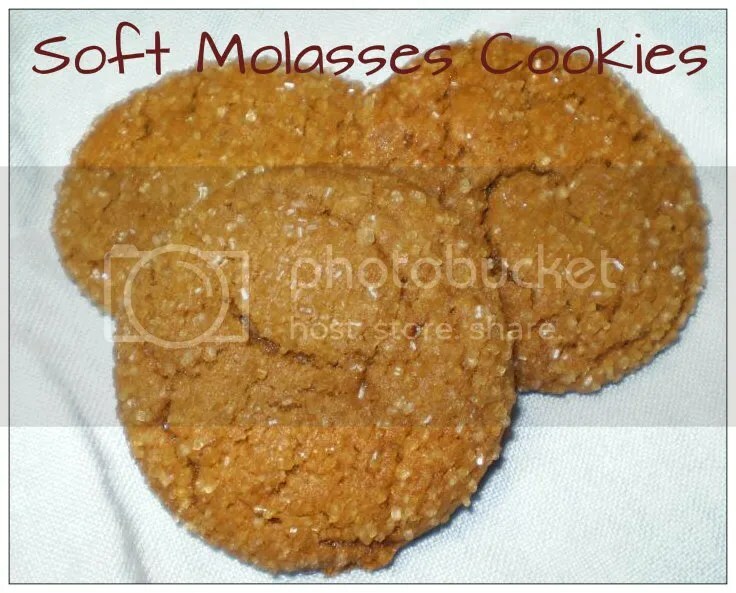 The original recipe comes from http://www.sixsistersstuff.com. In another bowl, beat together butter and sugar until fluffy. Add vanilla and eggs one at a time. Gradually add flour mixture to butter mixture. Form dough into walnut sized balls and place a piece of caramel inside (I cut my caramels in half). Bake 12 – 14 minutes. Use parchment paper lined baking sheets to help the cookies come off cleanly. 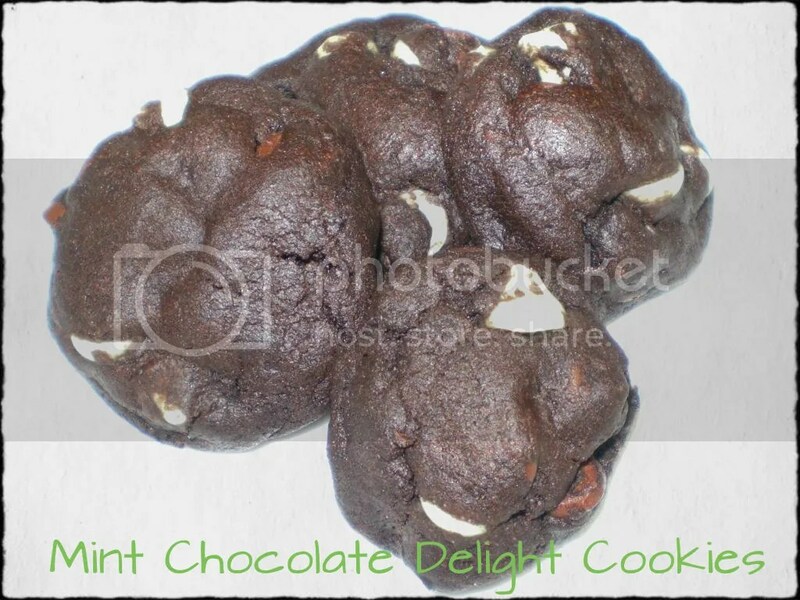 A couple holidays ago I did a similar recipe for Double Chocolate Mint Cookies. I actually think I like this recipe better. Both are quite tasty. I pretty much stuck to the original recipe from bakedperfection.com for this one except I added a few more chips (I had a few extra in the cupboard) and I think the chocolate pudding mix size is not correct as I could not find a 1.4 oz package of instant pudding mix, I just used the small box which is 3.4 oz (so I think that was a typo on the original recipe). In a separate bowl, beat together flour and sugars until fluffy. Add vanilla and eggs one at a time. Gradually add in flour mixture. Add in chips. This creates a very thick dough. I just scooped a bit out and created dough balls and placed about 1-2″ apart on a cookie sheet. They don’t spread much so you don’t have to leave a lot of room between cookies. Bake 11-13 minutes. Some of the cookies will looked a bit cracked on the top. That is how I could tell they were done since they end up looking similar to how they went in the oven.